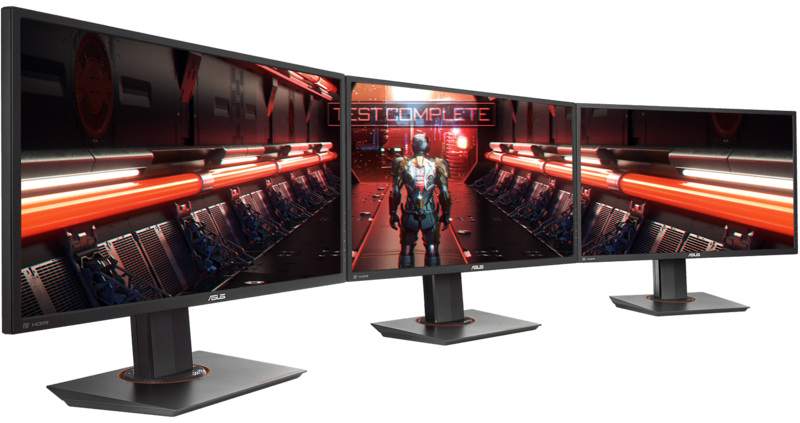 ASUS, Acer, and BenQ have enjoyed success in the gaming monitor market, but the competition is expected to get extremely fierce next year, with a variety of other players expected to enter with full force. LG and HP have started rolling out their own 4K monitors that are designed to support the Thunderbolt 3 standard, showing that the two firms are keeping up with the technological changes when it comes to different display standards. However, these monitors are considered as consumer displays and will primarily be used for work purposes and not necessarily for gaming. According to sources close to the matter, ASUS is expected to become the largest vendor of gaming monitors in 2016 with a market share standing at 35 percent. In second place, you will have BenQ with a market share hovering between the 22-24 percent, while Acer will secure third place with a market share of 17-19 percent. 144Hz gaming monitor shipments struggled to gain a high amount of traction in 2015, which a shipment tally ranging between 550,000-600,000 units in 2015. However, 2016 saw a huge boost in demand, and most likely aggressive pricing had a considerable hand in increasing the total shipments volume to 1.2 million in 2016. According to estimates, 2017 will see around 2.5 million gaming monitor units shipped out and industry sources claim that the number may reach 3.5 million in 2018. Gaming monitors featuring a diagonal screen size of 21.5 inches is considered the most popular, followed by the 23-24-inch size monitors. As stated before, consumers see cheaper gaming monitors as a better value, and according to reports, such monitors priced between the $299-$499 marks accounted for 70 percent of overall shipments, followed by the 27-inch models, and the 34-35-inch models. With the aforementioned list of manufacturers expected to enter the realm of gaming monitors, we can expect more and more shipments to add to the tally, and aggressive pricing of these products are naturally going to be a welcome addition for consumers. BenQ HT2550 Vs TK800 4K UHD HDR Projector Review – Which One Is The Right One For You?